The annual Boat Race PR machine cranked into action on Wednesday with the first crew announcement. This was followed last night by the Presidents’ Challenge in which the President of the previous year’s losing crew challenges the winner to the next race. And what finer spectacle than the sight of elite male and female rowers competing against each other on the Tideway, in the heart of West London, over a long distance in uncertain conditions? What started as annual sparring between two domestic universities in 1829 for the men and 1927 for the women, has morphed into something quite different run by The Boat Race Company Limited (TBRCL). Now an international spectacle, thanks in large part to the support of the BBC, the event draws a domestic audience of 7m viewers and 270,000 riverside spectators. The athletes announced thus far are Australian, American, Canadian, Dutch, Finnish, French, German, British, Greek, Irish, Italian, Iranian, Japanese, New Zealand & South African. Many have international credentials and in 2018 will range in age from 18 to 40. With the start of the 2018 campaign comes a sinking feeling of “here we go again”. 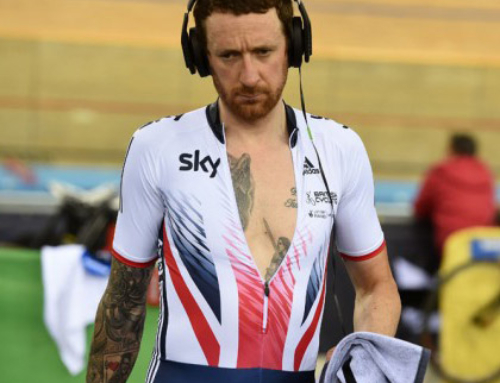 Not because of the way the athletes are paraded for the press, barefoot, clad only in lycra in the cold or in a pair of the sponsors’ wellies, the weigh-ins and the hyped up rivalries. But there is a sense that this is an event, like Formula 1 that we rowers are looking in on; a private spectacle that is inward facing and self-serving, wrapped up in the cloak of raising money for cancer. The event appears to be divorced from the sport played out in cash-starved clubs, supported largely by volunteers. Clubs who are already hurting from losing their best to Caversham. TBRC recently commissioned ARUP to look at ways of increasing the reach and return from the event. ARUP’S report entitled, somewhat misleadingly, “Impact of a Single Day Major Event on a City” was released in October. ARUP says their report “reviews the current ‘state-of-play’ for the event and makes recommendations for areas that should be considered for development in order for the event to maximise its commercial, sporting and social sustainability”. It perhaps could have been more accurately titled “Maximising the reach and revenue opportunities for the Boat race’” which more accurately describes what is between the covers. The report is actually pretty lightweight and talks about maximising digital opportunities, spectator engagement, where they come from, how they got there and how long they left and what deep pockets they might have. But in its conclusion, ARUP compares the event to T20 Cricket, The America’s Cup and Formula E Motor Racing. But this is a private race between elite scholar athletes studying for an academic qualification at the two institutions placed at 1 and 4 in the Times Higher Education rankings racing for between 16 and 20 minutes? The comparisons don’t seem to equate. What is disappointing about the ARUP report and indeed the Boat Race generally, is that nowhere does it talk about using the Boat Race to directly promote or enhance the sport of rowing. There are obviously the indirect benefits that come to the sport such as the world-wide coverage of the event but there are no direct effects or initiatives. The report mentions British Rowing just once as an item of fact but otherwise makes no mention of the sport within which the event sits. British Rowing told WEROW Life “The Boat Races play an important role in the visibility of rowing”. British Rowing said they work closely with TBRCL as well as media and broadcasters, providing athlete information and “using our joint expertise to help promote the event and rowing to the widest possible audience”. We asked TBRCL whether it directly undertakes any activity promoting participation and diversity within rowing outside of this one event. It replied that TBRCL “worked closely with British Rowing to promote and encourage individuals to take up rowing and the associated health benefits”. We asked for further clarification of any specific activity in this regard to which they responded “There has been no specific activity around joining clubs / rowing on the water but we have re-tweeted from British Rowing on these messages previously”. Commenting further TBRCL said they were ”already working within the wider reaches of rowing to improve levels of diversity. Fulham Reach Boat Club is a community-based rowing club that aims to improve access to the sport throughout London. 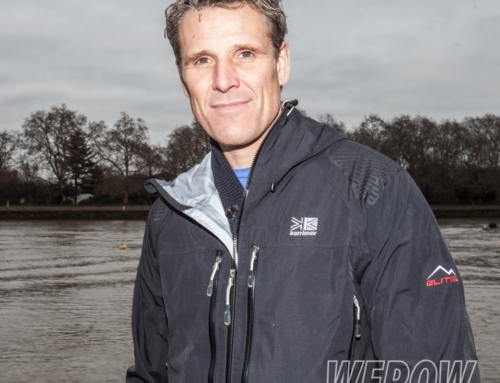 Last year, The Boat Race Company worked closely with Fulham Reach Boat Club to host several events ( including The Celebrity Boat Race) and to raise awareness of the work they do. We plan to develop this relationship further through the coming season. The Cancer Research UK Great Row – a non-competitive ergo challenge that took place at the beginning of 2017 to raise money for life-saving treatment pioneered by Cancer Research UK – is another initiative that The Boat Race Company have been instrumental in developing”. The Boat Race social media talks a good story of inclusion and diversity. It has great charity credentials – race sponsors BNY Mellon and Newton donated their headline sponsorship to Cancer Research who were also nominated in September by British Rowing as their charity partner. But what actually does the worlds most public rowing race directly do for rowing? Not a lot it would seem. 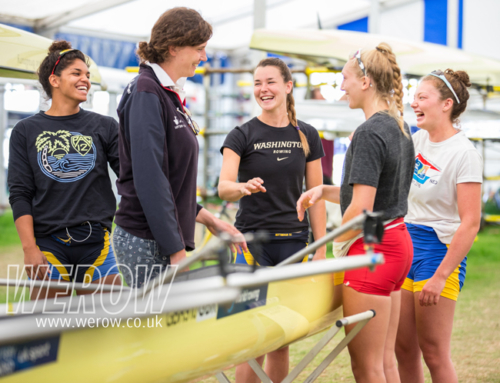 Money is as tight for TBRCL as it is for all of us, but Oxford Boat Club received an endowment of a £12m in March 2017 which ensured that lightweight and women’s rowing at Oxford has a fantastic future. But a direct gift by TBRCL to the community that supplied the talent for the event, would sweeten the bitter taste left by a world-class spectacle which appears to have positioned itself above the sport. Instead of leaving the sport of rowing to pick over the vicarious spoils that emanate from the Boat Race PR machine it would be great to see TBRCL step up and invest directly in our sport, on the water. There is no reason of course for them to do this but the fortunes of the Boat Race have waxed and waned since 1829, and you never know when they might need us.